How would this apply to golf? Tim Ferriss is a media phenomenon in the USA. Writer, author, presenter, entrepreneur, and known amongst other for his 4-hour series of books, like the “4-hour-workweek”. View the trailer of his experiment here on Vimeo on teaching many things so also golf in 5 days using the world’s best teachers. The first thing to look for is: Reliable/Repeatable results. This might go without saying but does the system produce results? And who gets the results? Is it just the tour pro in, or any type of golfer. The second thing ideally should read: Do they question the norm? This is how all progress is made. There is a direct relationship between questioning the norm and results. Question the norm questioned, and the quicker and the better the results. The third trait is: Do they Challenge the student? In other words, when you start to work on a new thing, is it pushing you beyond your current limits? If the answer is no, then you won’t grow and there will be no lasting improvement. I would add a part ‘b’ to this trait: Does this feel totally different? Again, in the golf analogy, if you go the teacher and nothing feels different, well, by definition, nothing has improved. The teacher should be able to get results with any type of golfer. 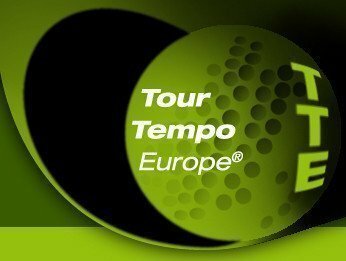 As an example, Tour Tempo gets results with beginning golfers all the way through to tour professionals. Read the book Tour Tempo 2 – the short game & beyond , where it is fully documented. John Novosel Sr. started to unlock the discovery of Tour Tempo, and conventional thinking on tempo got flipped on its head. He clearly questioned the norm in a big way. The first time students try Tour Tempo, it is difficult for them to keep up with the tones and sync their swing tempo with the tones. But, if they work at it, then they start to ‘get’ it, and that ‘getting’ it is where the sweet spot is in learning. Also, Tour Tempo really feels different (along with the Tour Tempo training aids). The most common comment we hear is, “This feels way different, it’s way too fast”. Then about 20 swings later the student is hitting 10-15 yards farther and the tempo is starting to feel better. So make sure whatever system or teacher you use, you can answer yes to all 3 of the questions dealt with.